Hi Everyone, I'm back from a little R&R and catching up on all the latest happenings around town. Check out these great upcoming shows. 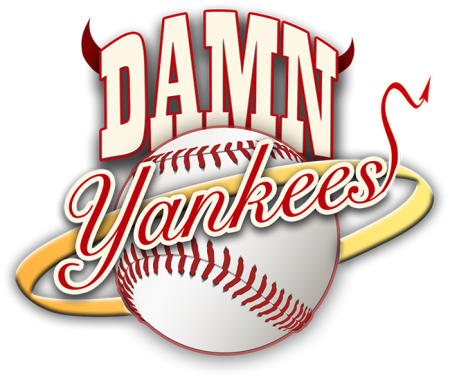 MUSICAL NEWS: 3-D Theatricals presents a rousing revival of the Broadway classic Damn Yankees at the historic Plummer Auditorium in Fullerton, July 11 – July 27 (opening night July 12) and the Redondo Beach Performing Arts Center August 2 – 10. A muscular musical comedy with a book by George Abbott and Douglass Wallop, and music and lyrics by Richard Adler and Jerry Ross, this 1955, 11-time Tony Award-winning tuner re-tells a centuries old Faustian legend which promises to have fans on the edge of their seats. Jordan Lamoureux stars as Applegate with Alexis Carra as Lola and Cameron Sczempka as Joe Hardy, along with Robert Hoyt, Joe Hart, Chelsea Emma Franko, Cynthia Ferrer, Remmie Bourgeois, Michael Coleman, Chris Duir, Karla Franko, Nick Gardner, David Kirk Grant, Jennifer Holcombe, Chris Holly, Bren Thor Johnson, Gavin Leatherwood, Ashley Matthews, Sarah Meals, Madison Mitchell, Tiffany Reid, Thomas Roy, Estevan Valdes, Nick Waaland, and Tamara Zook. Tickets: www.3dtshows.com. 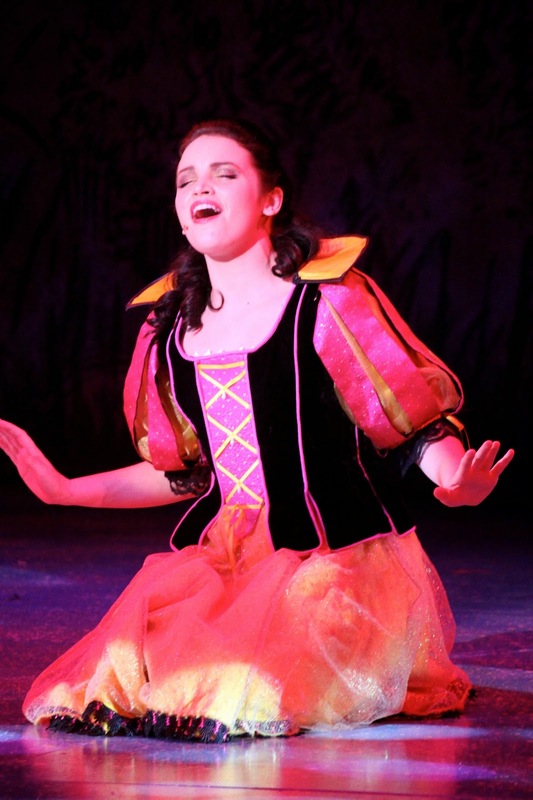 Lythgoe Family Productions and The Pasadena Playhouse have announced the cast of its Princess and Pirates Sing-a-Long Concert production for kids and their families which will be performed July 18 – Aug. 10 at the Kirk Douglas Theatre. Lindsay Pearce (pictured left) will star as Snow White/Maid Marion, Molly McCook as Cinderella/Wendy/Aurora, Curt Hansen as Prince Charming/Prince Phillip, Cliffton Hall as Prince Harry, Clarice Ordaz as Princess Jasmine, Jonathan Meza as Muddles, David F.M. Vaughn as Captain Hook/Sheriff of Nottingham, and JP Dupé as Peter Pan. The concert production is directed and choreographed by Spencer Liff and musical supervisor Michael Orland. Tickets: (213) 972-4488 or www.princesspirateslive.com. 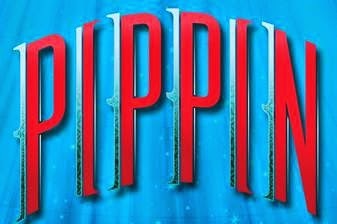 PIPPIN will celebrate its Hollywood Pantages premiere Oct. 21 – Nov. 9. The national tour will feature Sasha Allen (NBC’s The Voice) as Leading Player, Kyle Selig (The Book of Mormon tour) as Pippin, John Rubinstein who (created the role of Pippin in the 1972 original Broadway production) as Charles, Sabrina Harper (Pippin, original Broadway Revival cast) as Fastrada and Kristine Reese (Wicked tour) as Catherine. The company also includes Skyler Adams, Sascha Bachman, Bradley Benjamin, Dmitrious Bistrevsky, Mark Burrell, Mathew deGuzman, Fernando Dudka, Mirela Golinska, Kelsey Jamieson, Preston Jamieson, Lisa Karlin, Alan Kelly, Melodie Lamoreux, Tory Trowbridge, Mackenzie Warren and Borris York. Tickets are currently available with the purchase of a season package. 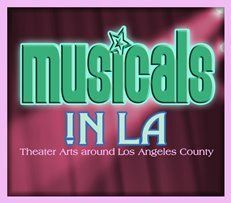 Tickets/info: www.HollywoodPantages.com or (866) 755-2929. The Pasadena Playhouse presents Summer at the Playhouse – Music, Mayhem and Madness, three exciting productions playing this July. A Judy Garland Concert with Joey Luft features Judy Garland’s son making a rare public appearance (July 10-13), followed by Playhouse Rocks! with Tony® Nominee Mary Bridget Davies (A Night With Janis Joplin) which was presented last season at The Playhouse and was the venue’s highest grossing show in its history (July 17-20). The month will end with Henson Alternative’s Puppet Up! 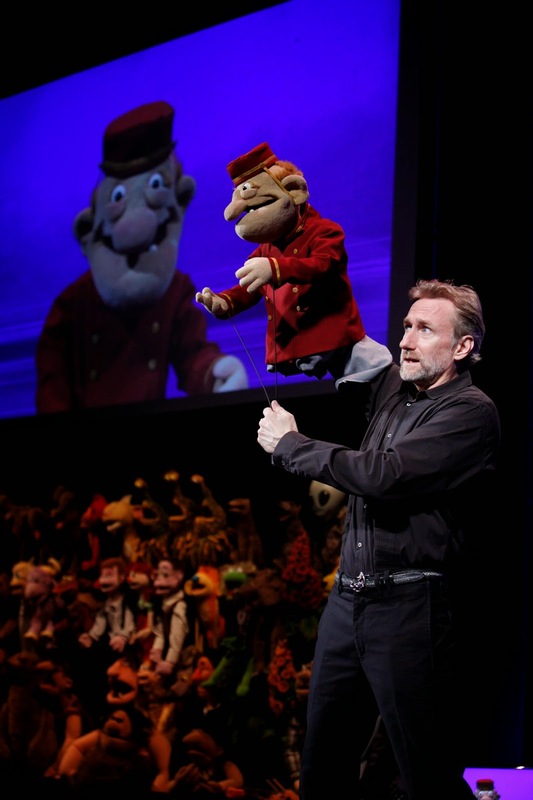 – Uncensored created by the award-winning Brian Henson and improvisational guru Patrick Bristow with The Jim Henson Company’s renowned puppeteers (July 24-26). Tickets: www.PasadenaPlayhouse.org or (626) 356-7529. The Falcon Theatre has announced its 2014-15 season which will include a new Troubie show to celebrate the holiday season, The Snow QUEEN, directed by Matt Walker. This fast-paced, laugh-filled and Commedia Del Arte flavored musical reimagines the classic fable with the music of the mercurial British rock band QUEEN. Dec. 3 – Jan. 18 (opening night Friday, Dec. 12). The season also includes Impro Theatre’s The Western Unscripted (Aug. 27 – Oct. 5), directed by Steven Kearan & Dan O’Connor; A or B? 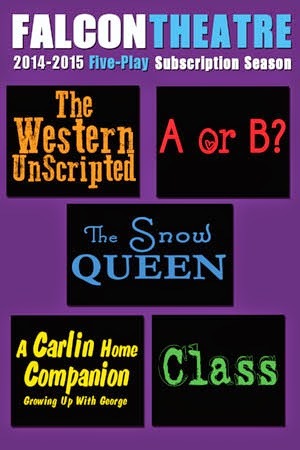 (Oct. 15 – Nov. 16), a world premiere by Ken Levine; A Carlin Home Companion (Jan. 28 – Mar. 1), written and performed by Kelly Carlin & directed by Paul Provenza; and the west coast premiere of Class (Mar. 18 – Apr. 19), by Charles Evered. 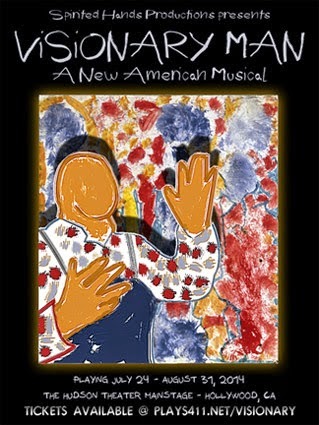 Spirited Hands Productions presents the world premiere of Visionary Man, a new American musical based on the fascinating true story of visionary artist J.B. Murray beginning July 26 at the Hudson Mainstage in Hollywood. Murray, an illiterate African American farm worker living in a shack in rural Georgia without water or electricity, had the first of what he called his “visions from the Holy Spirit” at age 70. Over a period of 10 years, Murray’s vision-inspired paintings and non-semantic script, initially on scraps of writing paper, envelopes, adding machine tape, poster board, wood paneling, old stove tops and televisions picture tubes, and eventually on archival art paper, would capture the imagination - and the wrath - of his family, friends and neighbors. Today, his work is recognized and sought after by an international community of museums, galleries and collectors. Noted jazz singer Jimmer Bolden takes on the title role. The cast also includes Yorke G. Fryer, Chante Carmel, Jacquelin Schofield, Will North, Ernest Williams, Caitlin Gallogly, Joshua Leduc, Sequoia Houston, Stephanie Martin and Courtney Turner. Music and lyrics are by Padgelek, who also co-wrote the musical’s book with director Tom Coleman. Musical arrangements are by Teresa Ruiz and Bryan Shaw, musical director is Jeff Bonhiver, and choreography is by Ali North. July 26 – Aug. 31. Tickets: (323) 960-7787 or www.plays411.com/visionary. 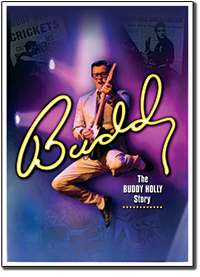 Laguna Playhouse presents Buddy – The Buddy Holly Story July 9 – Aug. 3 (opening July 12). It features over twenty of Buddy Holly’s and rock & roll’s greatest hits and is directed by Steve Steiner who directed last season’s Ring of Fire. Featured in the cast are Todd Meredith, Jenny Stodd, Bill Morey, James S. Patton, David Reed, Logan Farine, Emilio Ramos, Nathan Yates Douglass, Alejandro Gutierrez, Zach Sicherman, Bob Bohan, MaryAnn DiPietro, Kelly Vernon and Mike Brennan. Tickets: www.lagunaplayhouse.com. 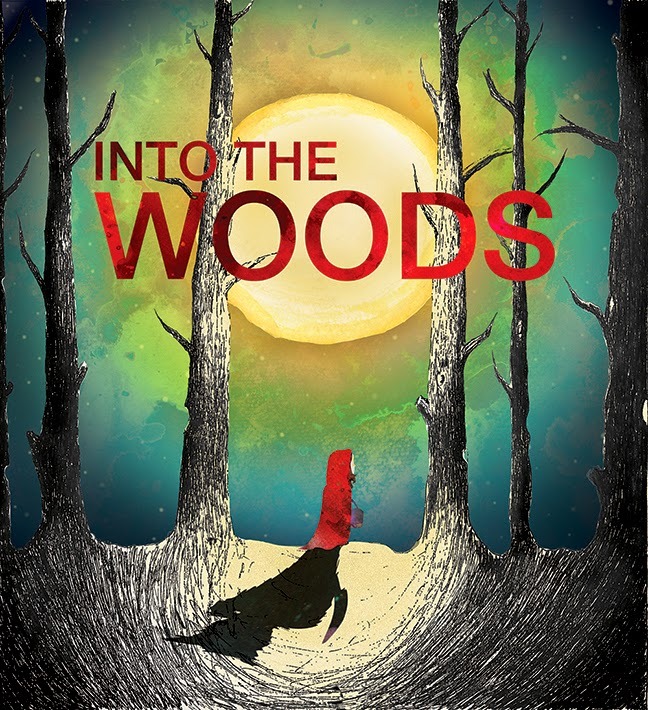 The Old Globe has announced the cast and creative team for Stephen Sondheim and James Lapine’s Into the Woods, which made its world premiere at The Old Globe in 1986. This inventive reimagining by Fiasco Theater is directed by Noah Brody and Ben Steinfeld, and originated at McCarter Theatre Center. The acting company includes Jessie Austrian (Baker’s Wife), Noah Brody (Lucinda, Wolf, Cinderella’s Prince), Matt Castle (Pianist), Alison Cimmet (Witch), Paul L. Coffey (Mysterious Man), Andy Grotelueschen (Milky White, Florinda, Rapunzel’s Prince), Liz Hayes (Cinderella’s Stepmother, Jack’s Mother), Claire Karpen (Cinderella, Granny), Patrick Mulryan (Jack, Steward), Ben Steinfeld (Baker), and Emily Young (Little Red Ridinghood, Rapunzel). The creative team includes Lisa Shriver (choreographer), Derek McLane (scenic design), Whitney Locher (costume design), Tim Cryan (lighting design), Darron L West (sound design), Matt Castle (music director, orchestrations), Michael Perlman (associate director), and Marcy Victoria Reed (stage manager). The show runs July 12 – Aug. 10, with opening night on Thursday, July 17. Tickets: www.theoldglobe.org. The Ojai Playwrights Conference announces its 17th Summer New Works Festival which will take place over two weekends from August 2 through 10. Opening night, August 2, will feature Two Dynamic Duos – One Musical Night during which composers, lyricists, book writers and singers will offer a rare opportunity to peer behind the scenes into the creative process of making musical theatre. Walt Disney Imagineering, Creative Entertainment curates this evening of uplifting entertainment and lively discourse from two dynamic duos. Alan Zachary and Michael Weiner, collaborators on musical film, theatre, television and animated projects, have created projects for divisions of the Walt Disney Company around the globe. 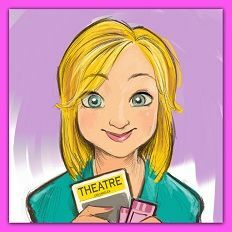 Their original romantic comedy musical, First Date, opened last year on Broadway at the Longacre Theatre. Brendan Milburn and Valerie Vigoda have teamed up on Sleeping Beauty Wakes, Toy Story: The Musical, Long Story Short, Midsummer Night and Wheelhouse. They come to Ojai after the acclaimed world premiere of their newest musical, Ernest Shackleton Loves Me, at the Seattle Rep. For a complete schedule of events call (805) 640-0400 or go to www.ojaiplays.org. 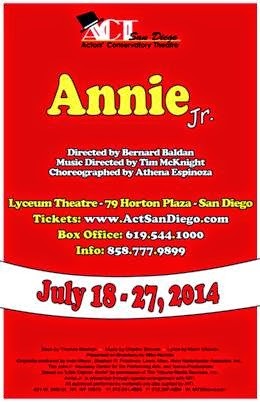 Actors Conservatory Theatre San Diego presents Annie Jr., July 18 - 27 at the Lyceum Theatre, 79 Horton Plaza, San Diego. The show is directed by Bernard Baldan, with musical direction by Tim McKnight, choreography by Athena Espinoza and stage management by Mandy Wirt. Two casts will perform (white and red) featuring several of San Diego’s most talented up-and-coming young performers. Tickets: www.actsandiego.com or 619-544-1000. CONCERTS/CABARET: Rockwell Table & Stage presents Christina Bianco in her Los Angeles debut of Diva Moments! Tuesday June 24th and Sunday June 29th at 8pm. Drama Desk Award nominated singer, actress and impressionist Christina Bianco has become a worldwide YouTube sensation with her diva impression videos going viral. Her hit show Diva Moments is made up of songs that made divas out of the women who sang them. From Barbra Streisand to Celine Dion to Britney Spears, no celebrity is safe! Christina will perform these iconic songs in her own voice, as well as impersonating the great divas themselves. Musical direction by Michael Orland. Tickets and info: http://rockwell-la.com/. Chris Isaacson Presents has announced a one-night-only concert event Broadway Under the Stars at the John Anson Ford Amphitheatre on Saturday, Aug. 16 at 8pm. The show will star Tony Award-winner Jennifer Holliday and will also feature Erich Bergen (Jersey Boys, stage and film), Rogelio Douglas, Jr. (In the Heights), Danny Gurwin (Little Women) and Tony Award-nominee Chad Kimball (Memphis) David Galligan will direct, and the music director is Gerald Sternbach. Broadway Under the Stars will feature songs from some of the most beloved musicals of our time, including Cabaret, Jersey Boys, Pippin, The Phantom of the Opera, Chicago, Les Misérables, and Wicked, along with new favorites from the 2013-14 Broadway season including Aladdin, Rocky, Hedwig and the Angry Inch, and A Gentleman’s Guide to Love and Murder. Purchase tickets by August 2 and save $5! Discount tickets are available by calling (323) 461-3673 or at www.FordTheatres.org.